Once you know the basics of predictive analytics including data exploration, data preparation, modeling building, and model evaluation, what can be done to improve model accuracy? One key technique is the use of model ensembles, combines several or even thousands of models into a single, new model score. It turns out that model ensembles are usually more accurate than any single model, and they are typically more fault tolerant than single models. All data referenced in the workshop will be provided on a USB drive and will also be made available via an internet link. Electronic copies of the workshop notebook will be distributed to attendees upon arrival on the USB drive. 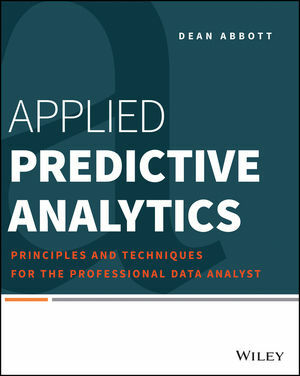 All attendees will also receive a paperback copy of Dean's book, Applied Predictive Analytics.